Urban Taggers. : Yup- It's true. That baby's got your back! Yeah... That's why you should only give PO box numbers so they can't send people to your house. Or, if you live in a massive apartment building like me, give your address and let security deal with anyone who comes to bother you. Funny pic and props to the man who put it together. keep fighting the good fight! 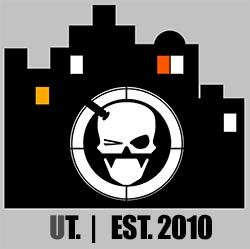 long live Urban Taggers!!! Stupid Nerf, I can't believe them, THANK GOD YOU ARE BACK. why did they go after you because of the Rampage pics? Sgnerf has them??? Great review of this Hasbro issue in today's Crikey.com.au email that I received. Hope it drives hits to your site, and good luck with your dealings Hasbro. Haven't heard of the website until today, and just wanted to say that you got my full support! Yup. Hasbro makes kids cry. Once their parents no longer have Urban Taggers to go to and buy them rubbish blasters instead. My wife used to be an air hostess & she & her colleagues would regularly encounter married men trying to chat them up ... the married girls started giving out their mother-in-law's phone numbers & the rest would routinely give out the addresses & telephone numbers for Long Bay & Parramatta Goals ... always helpful these girls. You've got balls Pocket to go up against the likes of Hasbro and their legal eagles, I'll give you that. This is one of the things that they just can't recall. Dafuq is your problem hasbro? Do you have to hate on people like this? Everyone should read and do this. It's the best way to get Nerf to notice. Yeah man, Hasbro are gonna be livid! 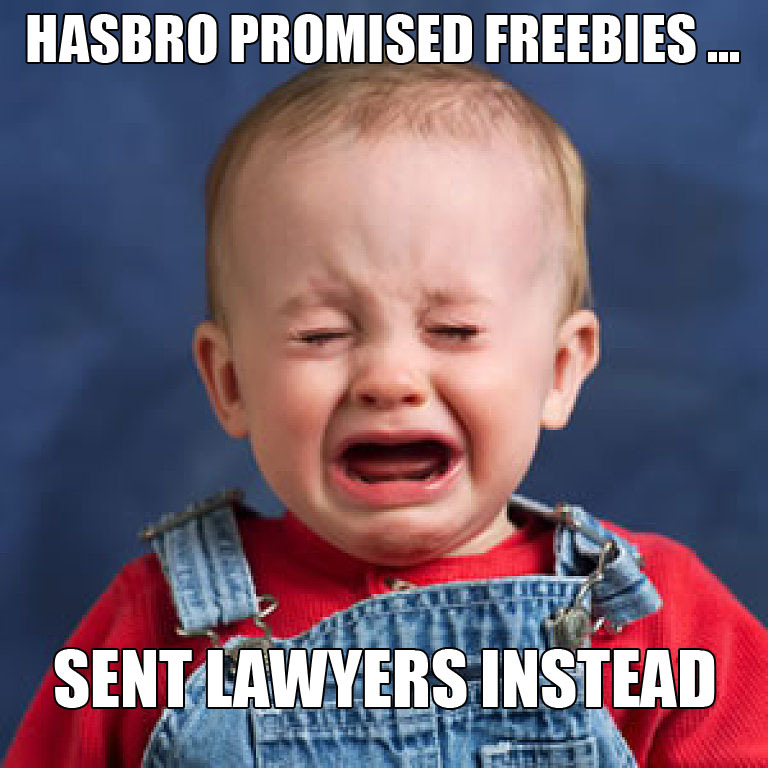 Hasbro had better give freebies now to every single person that reads this blog or I suspect that they'll lose a LOT more customers. Many of us work at major department stores and while sabotage is a great song by the Beastie Boys, it's also within our power to see to it that companies with no moral compass are stripped of their profits until such time as they relinquish the shifty lawyers. Yeah I said it - stop me?! FYI, your story is getting some coverage in the US. A legal blog (http://abovethelaw.com/) linked to it in their evening roundup of law stories.